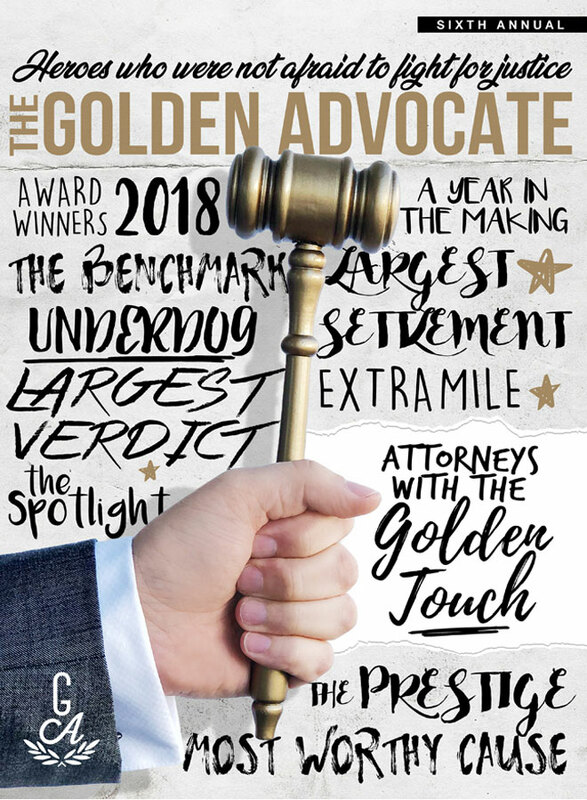 The Largest Verdict Award is given to an attorney who has earned the most substantial verdict on behalf of their client through vigorous litigation tactics. When the opposing counsel refuses to settle pre-trial, these attorneys continue the fight in court, ensuring their client receives the justice they deserve. 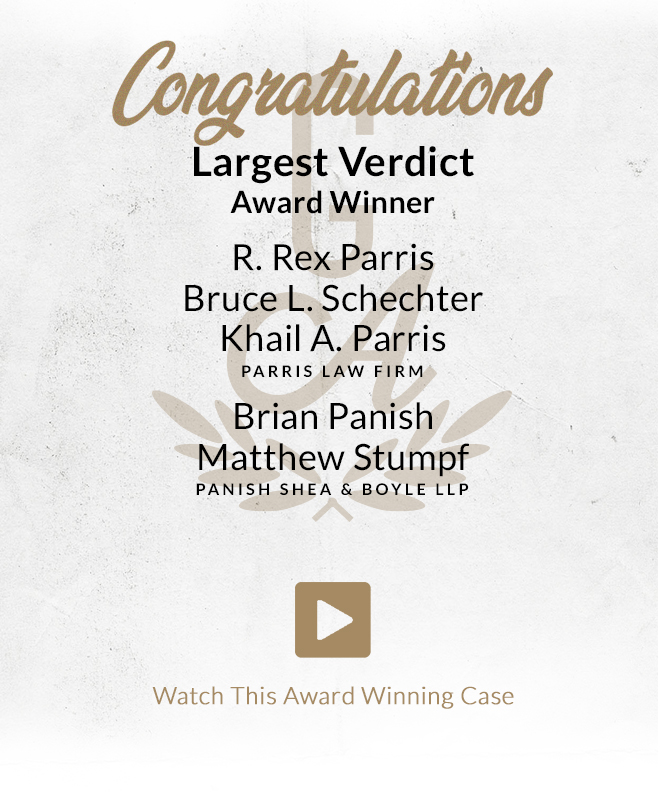 This year’s Largest Verdict winners are attorneys R. Rex Parris, Bruce Schechter, and Khail A. Parris of PARRIS Law Firm alongside attorneys Brian Panish and Matthew Stumpf of Panish Shea & Boyle LLP. Together they worked to obtain a landmark $53 million verdict on a devastating head-on collision case involving a big rig and two Southern California brothers. Despite the immense mental and physical injuries caused to both brothers, the Defense counsel argued that the brothers’ injuries were less serious than described. We are honored to have been able to support this team with the damages visual created for this case and congratulate the attorneys on this impressive verdict!